A comfortable ensuite double room with traditional iron bedstead. A cosy room for a couple. 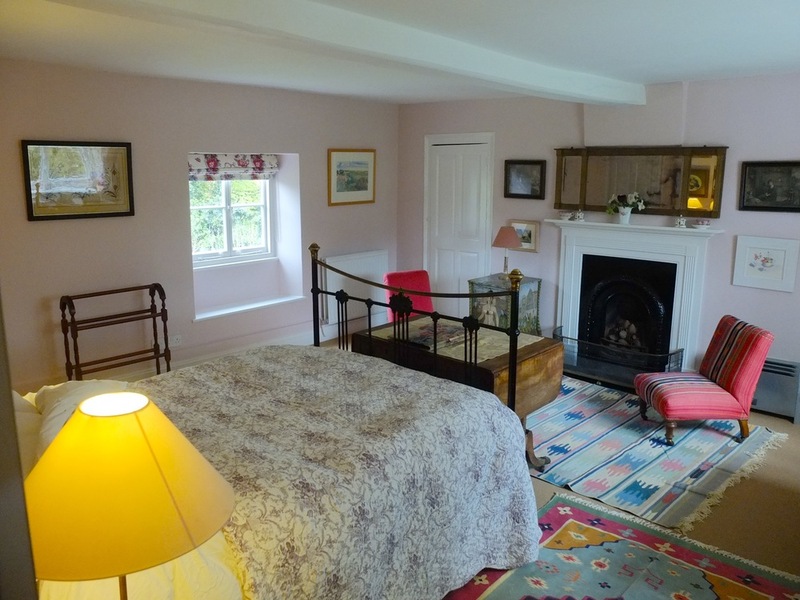 A comfortable antique 4'6" double bed in a spacious and light room with it's own bathroom. The room is big enough for an additional child's bed or travel cot (both of which we can provide at a small extra cost). Good quality cotton sheets and pillow cases. Generous towels on a heated towel rail. Also available as a luxurious single. 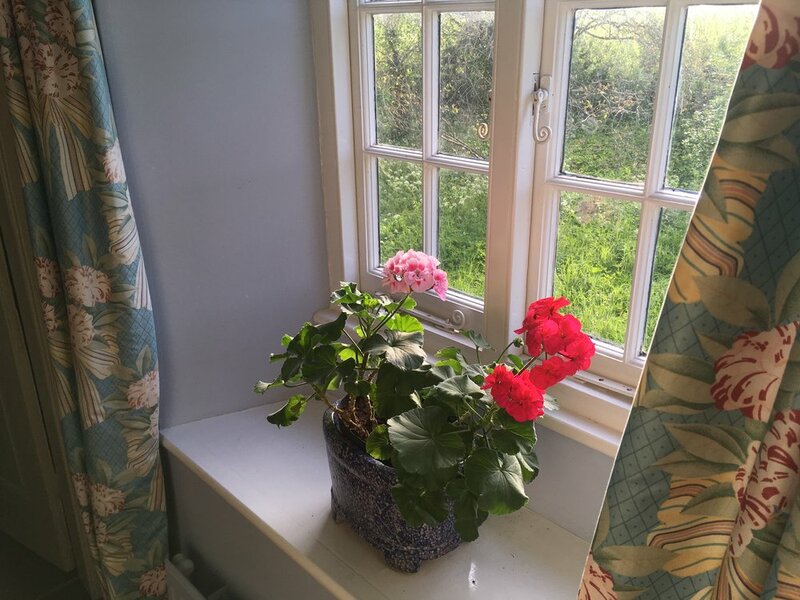 You will always find fresh flowers in the room, together with filtered water and facilities to make a variety of teas and coffee. You'll have a digital radio by the bed, good reading lights and access to broadband wi-fi. Peak : £90 for one night for 2 people sharing including breakfast, except for a single night’s stay on a Friday or Saturday which is £95. £ 85 per night for more than 2 consecutive nights. Single occupancy £50 per night including breakfast. 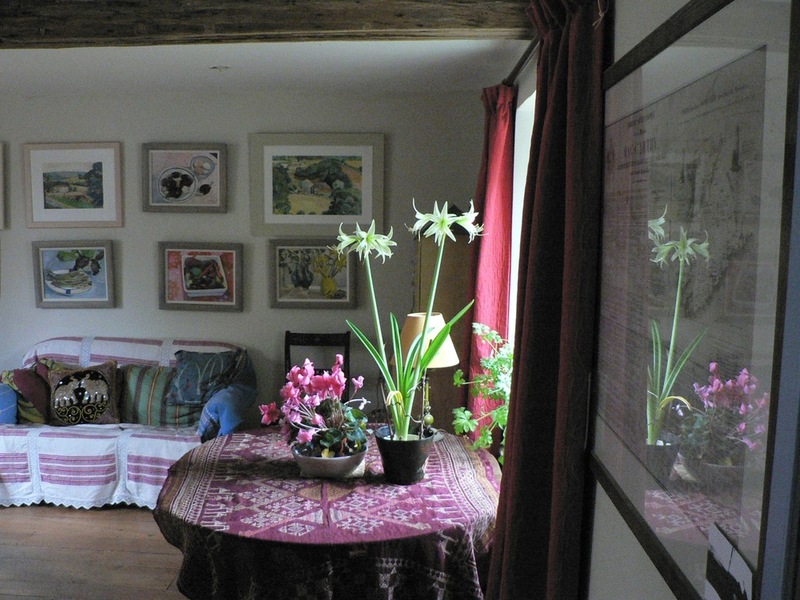 Off-Peak : (November & January - March) £85 per night for 2 people sharing including breakfast. £90 for just a Friday or Saturday night. An ideal base for exploring the North Norfolk coast. We've lived here a long time so we know what to recommend - and what to avoid!